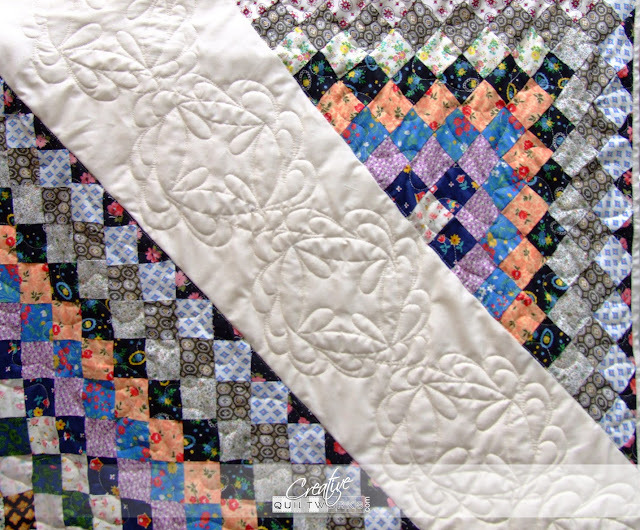 This beautiful heirloom quilt top came to Creative Quilltworks with a dilemma. 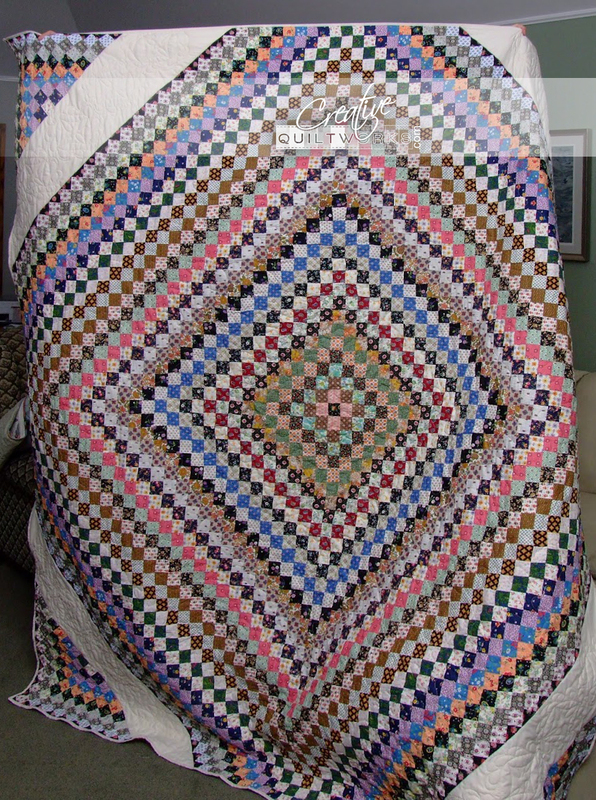 See the quilt looked rectangular but, it was actually a parallelogram. What I am trying to say is that I could not load it on my machine because it was crooked. Plus, it was a little small for modern beds. What to do??? Cindy and I put our heads together and came up with a solution. 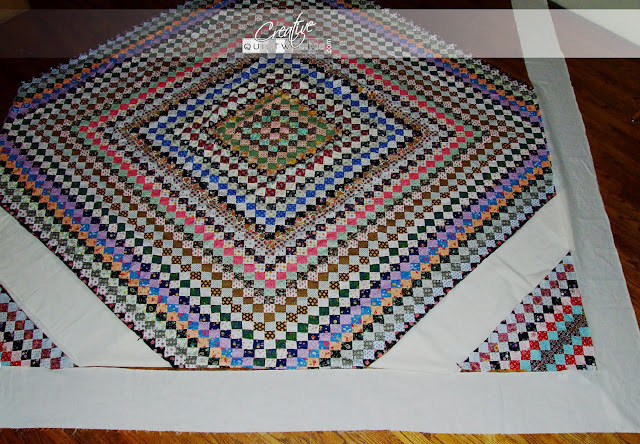 We cut the corners off in line with the piecing. Added some custom sized muslin strips. Put the quilt on point. And added the corners back on. 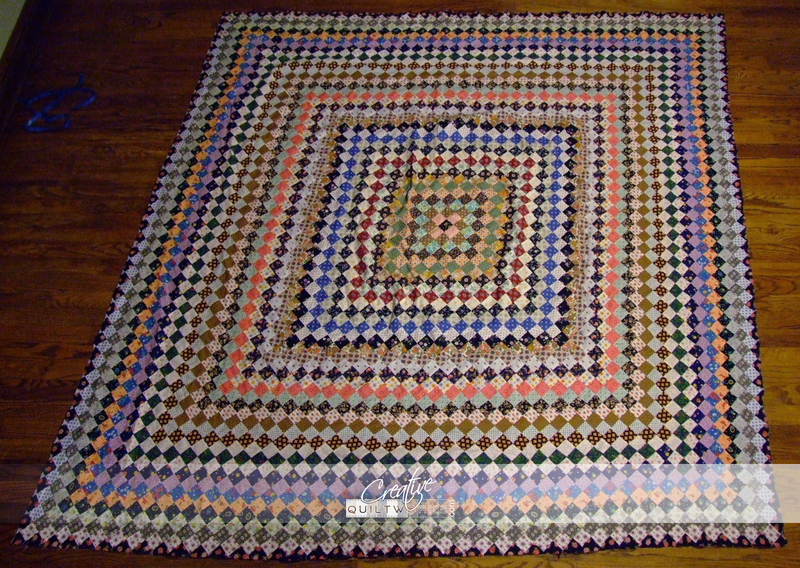 We laid it out to see what it would look like with a border framing the quilt, it would look something like this. 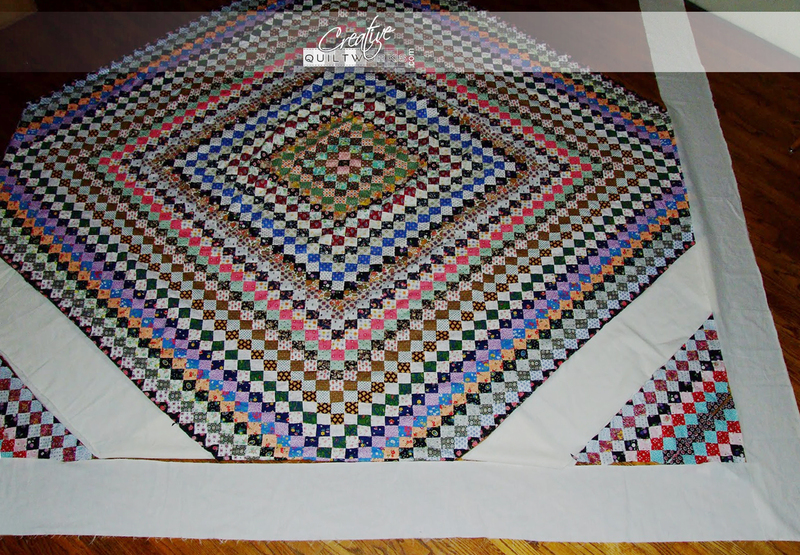 The customer liked our solution without borders so we went ahead and cut the quilt top. Yikes!! We put it all back together, quilted her up and here is how she looks! 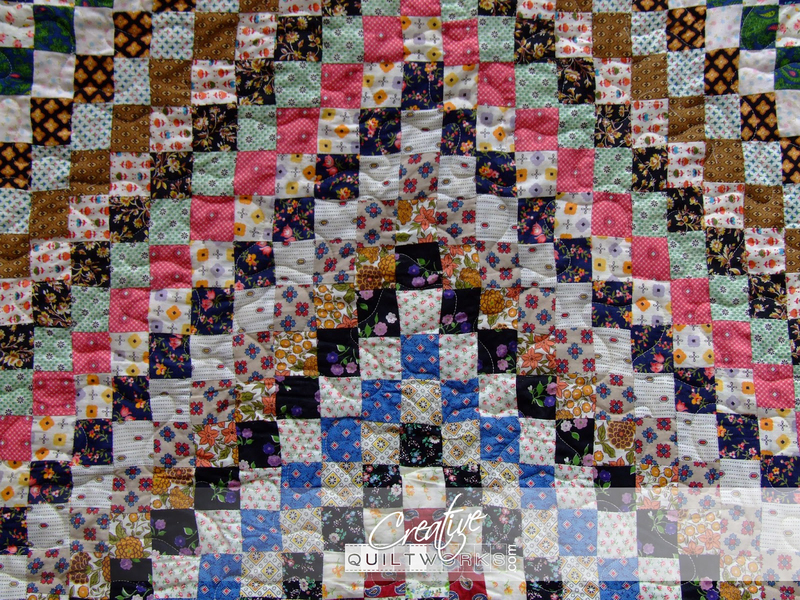 Some creative quilting in the added piece.